Hey guys! It’s almost fall – may favorite time of year! 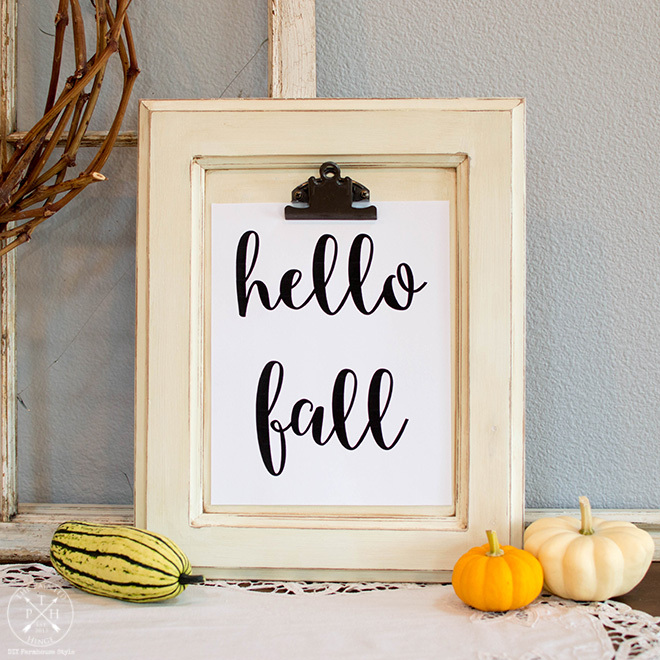 🙂 I thought I’d kick off the Fall season by making a hello Fall free printable for you all! The printable is 8 1/2 by 11 inches and is in a PDF file. I cut mine down a bit to fit my clipboard. If you like the clipboard, you can see my tutorial to make your own here: DIY Clipboard Made From a Cabinet Door. All you have to do is click on the link below and the PDF printable will open up on your computer. You can then print and/or save it to your computer. Cute idea to turn a cabinet into a clipboard frame. Hard to believe it’s almost fall! Visiting from Happiness Is Homemade party. 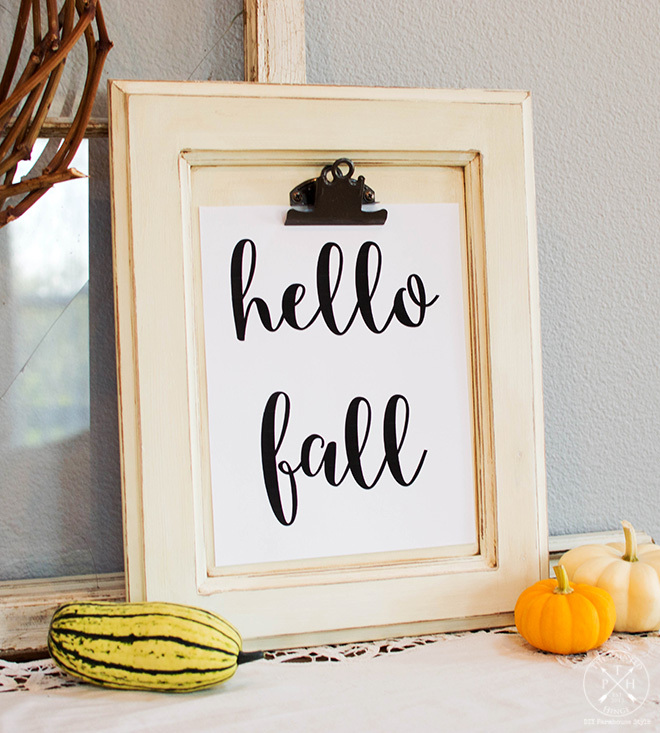 Thank you so much for sharing the fall printable at Happiness is Homemade. If you print it, it will come? Wow! This is such a creative blog! AND you can print this? This is a nice innovation. Thank you for sharing! How cute, Michelle! 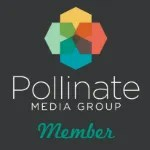 Thanks for sharing at Vintage Charm–pinned & tweeted! Hi Kristy! You print it on paper using a printer.